Pham Thanh Nghien (Danlambao) - If you feel touched by the story of me, a frail woman who entered prison at the age of 31 carrying a sentence of 4 years in prison and 3 years of probation, then you probably would be surprised, feel sorrow, and find inspiration for knowing another former political prisoner named Tran Hoang Giang. 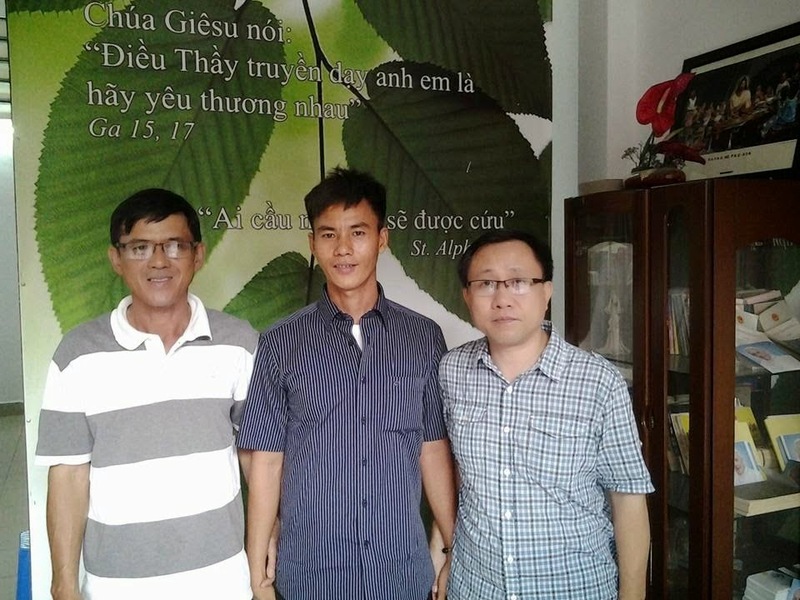 I could only know Giang after his release on Monday, September 26, 2014. Giang was born in 1980 at Vinh Phuoc commune, Tri Ton district, An Giang province. 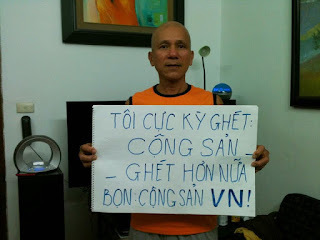 He was arrested on February 28, 2000 in Saigon while distributing the leaflets urging people to stand up against communist rule by using peaceful methods of non-violence. Giang was sentenced to 15 years in prison for being labeled as a "terrorist" and "conducting propaganda against the State" according to Article 84 and 88 of the Penal Code respectively. Even from a very young age, Giang was aware of his responsibility for the country. I imagine his teenage years of the age of seventeen and eighteen were beautiful and full of ambitious and burning desires. 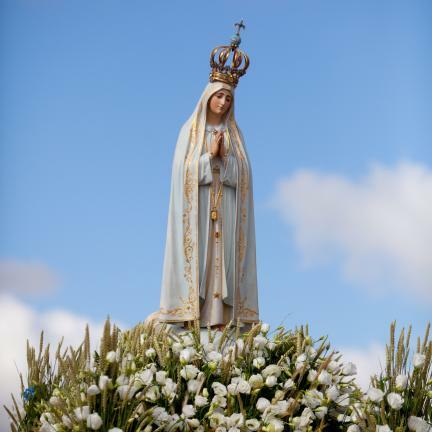 In contrast to his maturity, when I was almost thirty years old I was still naive, ignorant and gullible. I was so gullible that I still kept a picture of Ho Chi Minh within my diary; perhaps, many readers would be surprised about this. I was aggressive and hostile towards anyone who dared speak ill about "the Uncle and the Party" in front of me. A nineteen-year-old Giang entered prison, accepting a sentence of 15 years and sacrificing the most beautiful years of his youth in exchange for the dream of freedom for his fatherland. The age of nineteen is really the age of ambitious and passionate dreams, the age for a person to love and be loved most in his or her life. 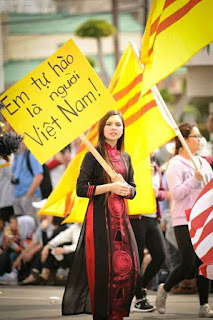 Tu also testified that in June 2006, Giang was sent to feel the "hot irons" after chanting "Down with communism!" in protest against the draconian policies in prison. Giang had been shackled for two years in solitary confinement with the V shaped shackles. As described by those who had worn those shackles, they are the scariest shackles ever used in communist prisons. A prisoner wearing them would easily get restless legs syndrome and has a strong urge to move his or her legs; however, even a slow and soft move may cause painful and dangerous cuts. Prison guards often take revenge on political prisoners by shackling them in the V shaped shackles. Last but not least, the dirty and HIV infected shackles are freely used to punish prisoners. It is believed that the former prisoner of conscience Huynh Anh Tri was infected with HIV while wearing those shackles and died a few months after his release from prison. For personal safety, the anger slogan "Down with communism!" can only be seen or heard on the Internet or in private. In 2007, father Nguyen Van Ly proudly shouted "Down with communism" amid a barbaric trial, which convicted him and sent him to prison. Such a rare, courageous act had caused great troubles to those who represented the evil power in that room. The policeman Nguyen Minh Tan, in a panic and angry mood, rushed in to gag father Ly. That image was recorded and has become "a picture that screams" and spreaded all over the world for portraying the human rights situation in Vietnam without a comment. In prison, Tran Hoang Giang had chanted "Down with communism" when he was only twenty six years old. This means he willingly accepted unpredictable punishment and the most severely revengeful acts from the prison guards. 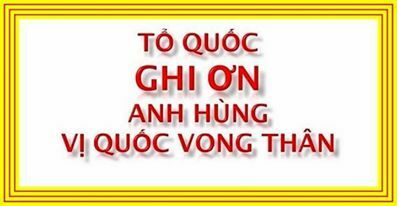 They demanded Giang to retract his words to be pardoned but Giang resolutely refused to do so. Giang was released 5 months before completing his sentence. When asked about his early release, he used the term "fake pardon" to express his thoughts about the nature of dishonesty, deceitfulness and two-facedness of this regime. I felt choked up and hang up the phone.